Bondi Beach is an Australian icon, world-renowned as the most popular beach in Australia. Just 7k from Sydneys centre its as great a sandy beach you’ll find within an international city and offers a wealth of activity: trendy and open-air restaurants, urban-style shops, the famous Sunday markets, wide open park greens for picnicking or relaxing , festive beach-vibe bars and more. 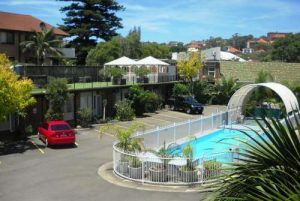 Bondi, Sydney ( 0.4 km from Bondi Beach ) Accommodation. Latest booking: 3 hours ago.Sydney Beach Accommodation. 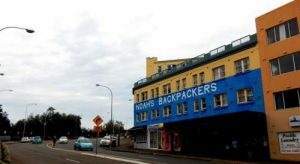 Noahs @ Bondi Beach Sydney Bondi Beach Accommodation. Bondi, Sydney ( 0.6 km from Bondi Beach ) Accommodation. Located opposite Sydney’s famous Bondi Beach, Noa’s @ Bondi Beach is a lively hostel featuring a 24/7 reception desk, secure card access and a rooftop BBQ area offering lovely beach views. There is 1 person looking at these apartments. More Accommodation. The significance of Bondi Beach as Aboriginal site is evidenced by the quarries used for tool and weapon making, and the carvings on many of the rocks near the waters edge. The name “Bondi” is believed to have evolved from the Aboriginal word for the sound of water breaking on rocks, “Bundi”. White settlement began here as a cattle run in the early part of the 19th century. As Bondi is the closest beach to the city, the lure of ocean proved too great, with the area beginning to develop in mid century. The ocean baths arrived in 1886, and the Bondi Tram arrived in 1894. The valley running down to the beach is famous world over for its view of distinctive red tiled roofs. Under these you’ll find an eclectic mix of semi-detached houses and apartments dating back to the early 1930’s, California bungalows and large freestanding house. In the last decade, the Beaches unique position has seen a dramatic rise in svelte contemporary houses and apartments to take advantage of the views and scent of the sea. Bondis famous strip of sand is bounded by the ocean on one side and the boutiques of Campbell Parade on the other. Laid back beach fashions, typical Australian surf wear, and for plenty of souvenirs for the visitor are all at hand. Residents of Bondi Beach have no exuse to be unfit. There is plenty of iron to pump at the Bondi Olympic and Swiss Grand gyms, or a stroll and a few swings around Bondi’s public golf course. But then there’s the beach. The surf is terrific all year round, and the Bondi Icebergs can be seen in the pool even in the depths of winter. For the jogger, there is the magnificent track that runs from the Beach around the headlands to Bronte, complete with its numerous exercise stations for that little extra bit of tone. If you must leave, then it’s only 7km from the CBD. The 380 bus will take you to the city’s Circular Quay, or the 365 bus to Edgecliff Station. Bondi Junction and its railhead is an entertaining 20 minute walk through the shops of Bondi Road. Australia’s oldest swimming club, the Bondi Icebergs can be found at the southern end of the beach. In the centre of the beach is the Pavilion, home to changing sheds, food, a bar, and a great auditorium. James Packer leads the business contingent here, with film and entertainment following up with producer Rebel Penfold-Russell, actor Simon Bourke, model Tara Moss, singer Wendy Matthews, and the legendary (for interesting reasons) Jason Donovan. Also residing in the area are Ben Lee, Peter Mochrie, Kate Cebrano, Michael Caton, Claudia Carvan, Toni Collette, James Reyne, Chris Haywood, Teresa Livingstone & Jack Thompson. The Beach is all about casual dining. From a simple kebab or burger and a view of the ocean through the casual chic grazing of Hugo’s, Raw Bar, Lamrock or Ravesi’s, the beach has it all. There are plenty of cafes for languid coffee or a glass of wine from breakfast through to till late at night. Bondi Beach Primary is the State school, with Waverley College, Moriah College, Sydney Grammar, Scots, Cranbrook, Ascham and Kamala private schools , or Vaucluse and Dover Heights High only a short drive away. Bondi Beach is an Australian icon, world-renowned as the most popular beach in Australia. Just 7k from Sydneys business district, its as great a sandy beach youll find within an international city and offers a wealth of activity: trendy and open-air restaurants, urban-style shops, the famous Sunday markets, wide-open park greens for picnicking or relaxing , festive beach-vibe bars and more. Its people are a melting pot of rich and poor and everything in between – from surfing bums to drum-playing bohemians to families, actors, models, overseas visitors and more. All of them flock to the beach or to stroll the vibrant sidewalks of Campbell Parade (main street). The 1km-long beach is bookended on both sides by beautiful headlands that form its protected cove and which, to the south, offer a cliff walk with sweeping views to nearby Tamarama, Bronte and Coogee beaches. For the local crowd, Bondi is the perfect beach, providing them with adventure, a great stress release and a fantastic outdoor lifestyle. What other major city in the world provides an opportunity for everyone to go surf “the early” before the daily grind, “the late” after work or school or even sneak in a lunchtime surf? Right here, right now and just 15 minutes from Sydneys CBD city-centre. Thats Bondi! Take A Break Holidays takeabreakholiday, Bondi Beach Accommodation. San Francisco De Asis, Urb Marina, San Fulgencio, 03177, Alicante, Spain.